Fred Rogers (1928–2003) was an enormously influential figure in the history of television and in the lives of tens of millions of children. As the creator and star of Mister Rogers’ Neighborhood, he was a champion of compassion, equality, and kindness. Rogers was fiercely devoted to children and to taking their fears, concerns, and questions about the world seriously. 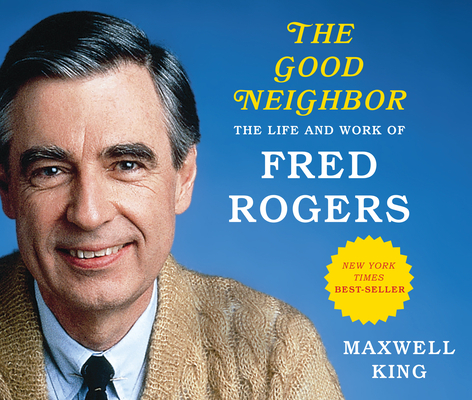 The Good Neighbor, the first full-length biography of Fred Rogers, tells the story of this utterly unique and enduring American icon. Drawing on original interviews, oral histories, and archival documents, Maxwell King traces Rogers’s personal, professional, and artistic life through decades of work, including a surprising decision to walk away from the show to make television for adults, only to return to the neighborhood with increasingly sophisticated episodes, written in collaboration with experts on childhood development. An engaging story, rich in detail, The Good Neighbor is the definitive portrait of a beloved figure, cherished by multiple generations. Maxwell King is the CEO of the Pittsburgh Foundation. After a career in journalism, including eight years as editor of the Philadelphia Inquirer, King served as president of the Pittsburgh-based Heinz Endowments for nearly a decade.